The whole of the Dumbarton Road stretches from Argyle Street at the Kelvingrove Art Gallery (and the Kelvin Hall directly opposite over the road) all the way to Clydebank where it stops and becomes Glasgow Road. However, we are only interested in the portion from Argyle Street to what is known as the Thornwood Roundabout which is nestled under the Clydeside Expressway. 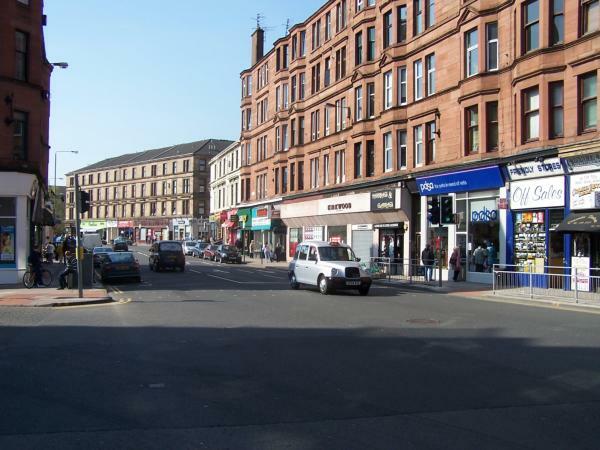 This part of Dumbarton Road, called Partick, plays host to a multi-cultured and multi-ethnic area of Glasgow which is well on its way to being integrated into Glasgow’s cosmopolitan and stylish West end. Just as the people are diverse, so are the shops and businesses of Partick, perhaps even more so. One thing you will never run dry of in Partick is Charity shops, the sheer quantity of them can only be a testament to the kindness and warmth of the people that live and shop there. Without the local kindness many of them would not be there, next time you’re in the area, count all the charity shops and work out for yourself the generosity of each soul you pass by. But there is more to Partick than charity shops, Partick is an area on the up, with new housing developments and waterfront regeneration projects well underway and new businesses springing up left right and centre it’s a real hotspot to shop till you drop. If you happen to do so, then there are plenty of places to recharge, whether you want a wee cuppa or a hearty plateful of pub food and a glass of whatever you fancy. Don’t forget the fine restaurants too that are scattered throughout Partick and are a fine chance upon for any hungry soul. As you stroll from one end to the other don’t forget to take a peek at what’s off the main street. 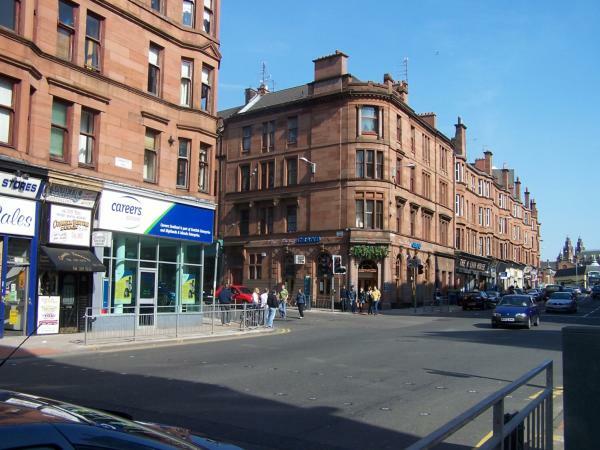 There are many smaller streets branching off of the main trunk that is Dumbarton Road and each one has a different range of shops. From your day to day newsagents for groceries and newspapers, the occasional chippy to the more eclectic extreme sports. As you stroll towards the upper end of Dumbarton road, as you approach Byres Road, you begin to notice the irreversible change sweeping down Partick. It now seems to be an extension of Byres Road and all the cosmopolitan trendiness that goes with it. The Partick of old is being modernised, with new building projects and shiny new businesses popping up its becoming a place to be seen in, but still get a bargain. A place that is truly now an extension of Glasgow’s Trendy and Modern West End but retains the innocent charm of a bygone era. A truly remarkable and eclectic place and long may it be so.